Discussion in 'Community & Server introduction' started by Inspector Kishou, Apr 15, 2019. “Euphoria” a feeling or state of intense excitement and happiness! 4/12/19 we launched our annual Spring Sale! Which has made all your favorite items including CSGO knives, VIP ranks, custom classes and more 25% OFF! 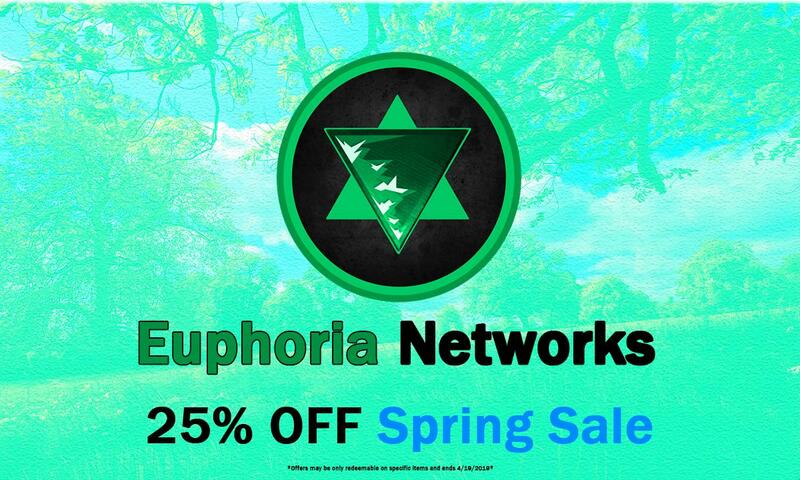 Euphoria is proud to have one of the few, but proud streamer sponsorship programs. We treat our streamers with respect, announcing when they stream to our community and giving them perks beyond which any streamer might not have on a casual DarkRP server! When it comes down to Euphoria our commitment to the community starts yet never ends. Bringing in new players is a plus for must servers, but what about keeping up to date with their experience? When it comes down to growing our community we believe gathering feedback is crucial to the decisions we make! That being said if you haven't given us a try yet then go for it! You'd be surprised how attentive our ears are to your voice! Even though we love the classic DarkRP taste, we have a lot of spins which make us unique! Players will be able to participate in events such as Team Deathmatch of Free For All to win prizes in-game as well as out of game! We plan to expand this into more areas such as Battle-Royal; however we will also keep our classic style intact while doing so. An RP server first an RP server forever!